We have previously featured a collection of splendid artwork by Won Park, a brilliant origami artist who specializes in turning dollar bills into lifelike creations. 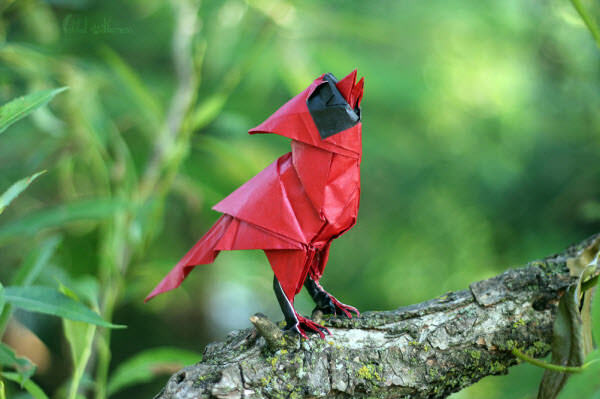 This time around, we have found an origami artist that goes by the username of FoldedWilderness who likes to make lifelike origami animals and photograph them in their natural surroundings. 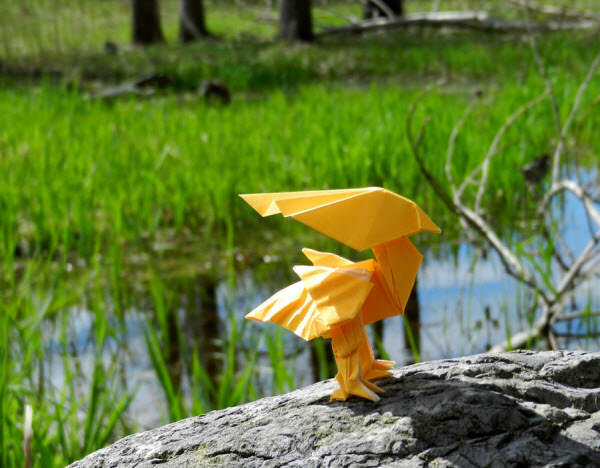 In this post, we have selected 12 origami animals to showcase what FoldedWilderness can do. 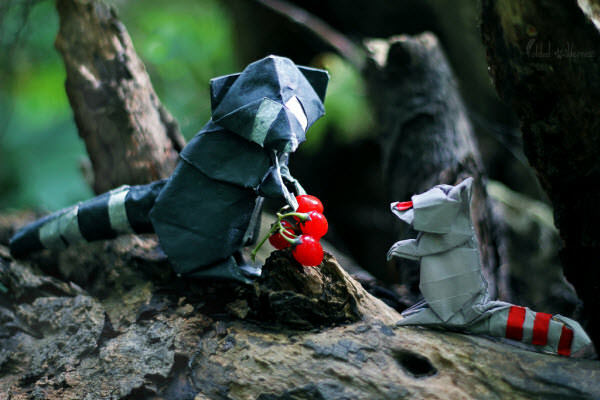 Even without the facial details, the creator can depend solely on the color of the paper and the mere shape of his or her origami skills to create some pretty awesome paper-folding masterpieces. A Donkey’s Journey. 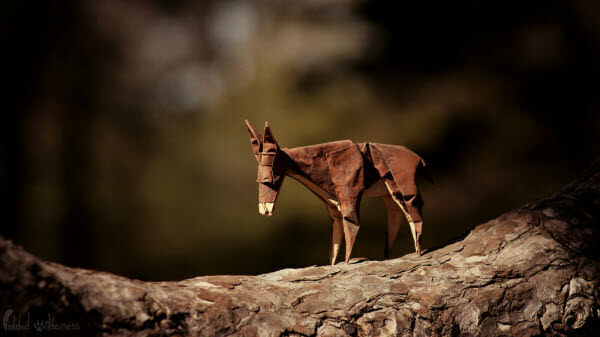 Folded from a single sheet of paper, this donkey is ready to take the first step in its journey – well, it would if it could move. Autumn Blue Jay. The secret to producing all the gorgeous colors on these origami animals is that the artist painted them with acrylics beforehand. Flower Child Fox. Foxes are usually way larger but come on, look at that? What can you complain about? 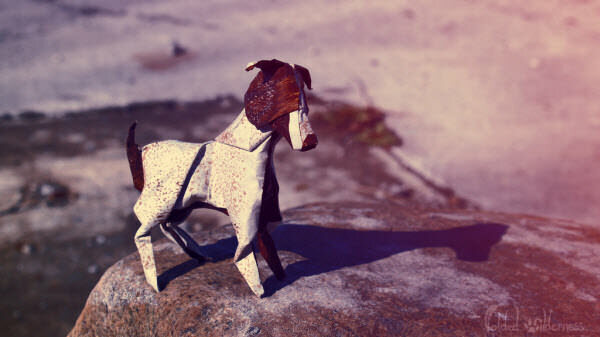 Jack Russel Terrier. 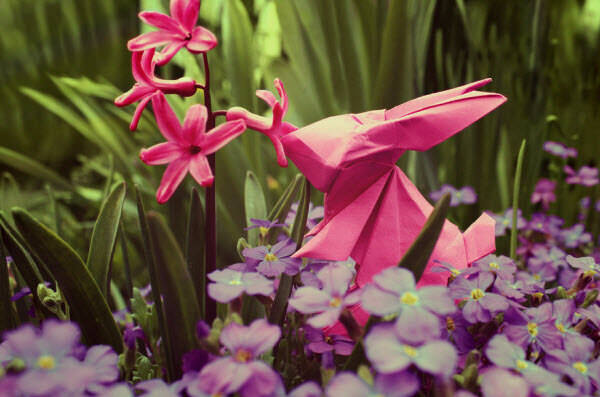 A dramatic result of precise origami combined with professional photography skills. A Landscape More Beautiful. 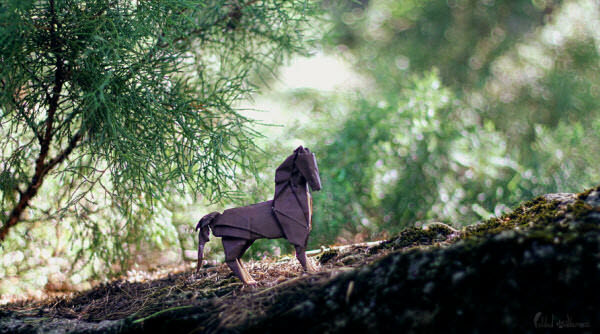 The majestic stallion watches over the forest. Playing the Fox. Good things come in pairs, they say. 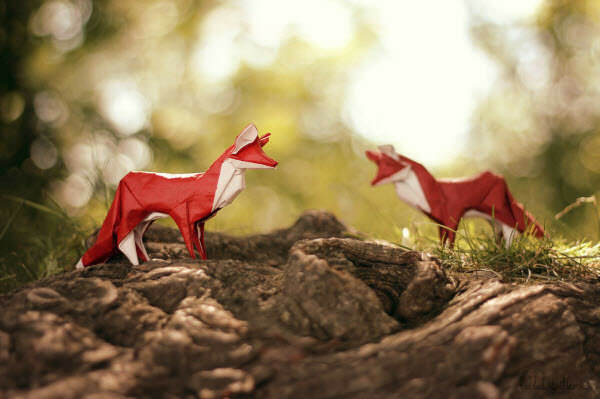 That’s definitely true when it comes to origami animals. Singing Cardinal. A lot of skill and effort has been put in to produce this prodigious piece. Spring Arisen. 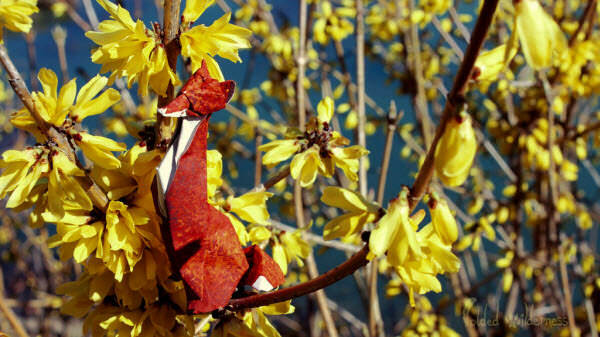 An origami rabbit blending seamlessly into its natural surroundings. 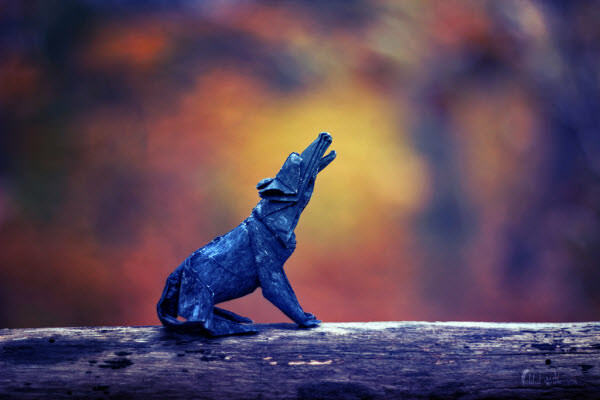 The Howling Wolf. They say good photos would leave an impression on you, but the best photos would tell you stories. This definitely belongs to the latter. ‘Tis the Season! 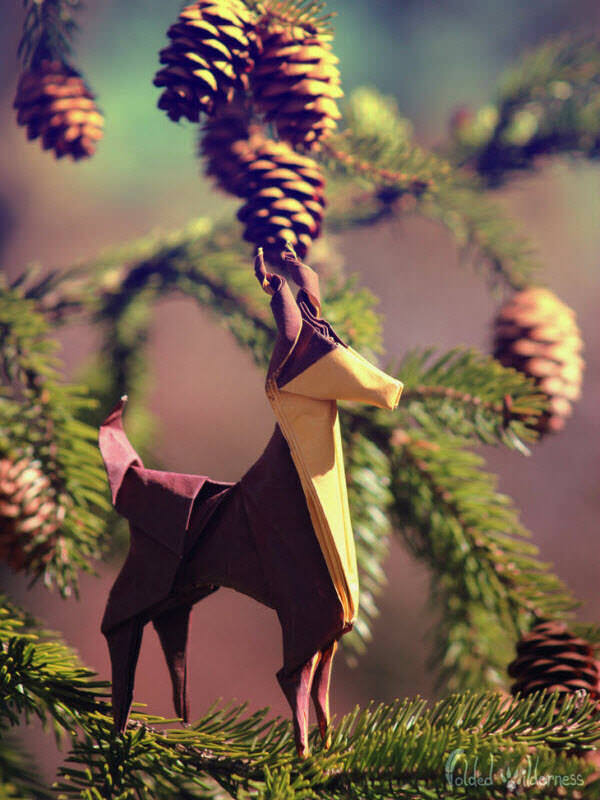 Yes, even origami animals enjoy the season of giving! Where the Antelope Play. 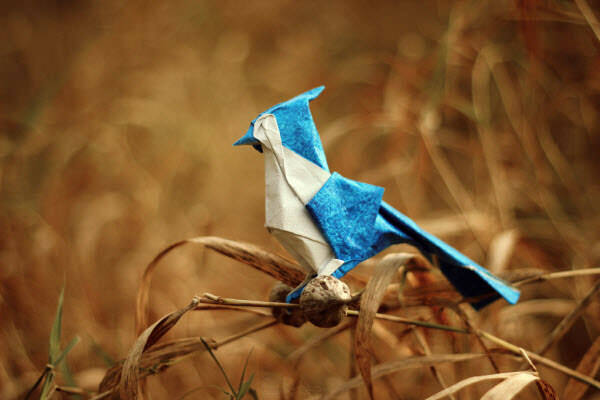 Believe it or not, this is the first origami animal that FoldedWilderness ever made using hand-painted paper. A Wild Chocobo Appears. This one is for all the fans of Final Fantasy’s Chocobo!